Teaming Up For Your Success! 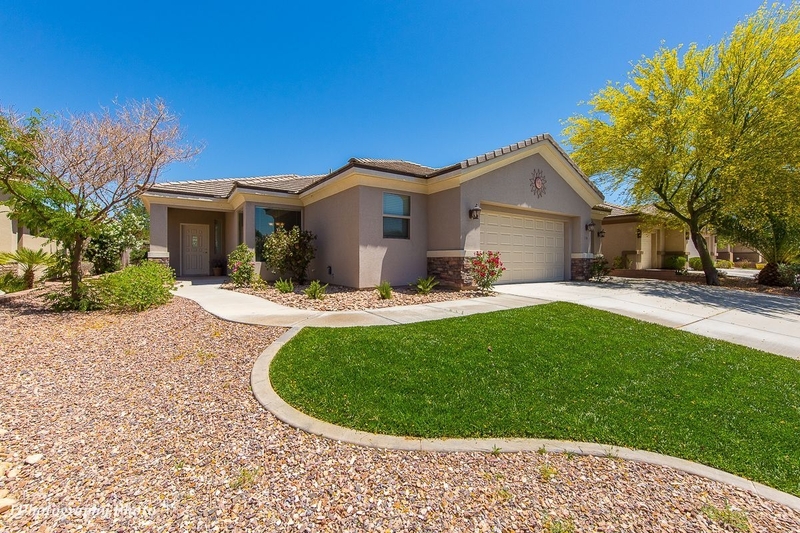 This home, located in Mesa Hills, a gated, premier 55+ community, is beautiful. You will love the backyard which opens up to the Falcon Ridge golf course. New landscaping, upkeep covered by the HOA, has been installed in the front of the home and the back. New flooring can be found in this lovely home; beautiful tile and plush carpeting add a luxurious feel. The kitchen is large and full of cabinets and counter space. You will love the new stainless refrigerator, range/stove, microwave, and dishwasher. There is an r/o system, as well. The large living area has a built-in entertainment center. You will love the views into your East facing backyard and beyond to the golf course. No homes located directly behind you! The two bedrooms are large and have plenty of closet space. The master bedroom has an en suite and a door leading to the patio. The second bedroom is close to the guest bath. Need extra space in the garage. This home has it with a full three car garage that includes a door to the backyard. The wide streets and beautiful landscaping throughout make Mesa Hills a sought after Mesquite neighborhood. This home is ready for you to move right in!